There are movements and organisations in several neighbouring European countries that approximate to our 'wildlife gardening', but with subtle differences. Their histories are different to that of wildlife gardening in the UK, and this reflects different traditions and gardening cultures in each country. It approaches the subject of wildlife, pollinators and gardening from the angle of designing specific gardens which bring us closer to nature. The results are gardens which look to my eye very like traditional cottage gardens. More on my page about Nature Gardens in Germany. In the Netherlands there is a history of native plant gardens going back to the 1930s. More on my page about Nature Gardens in Holland. I have created a special North America page for you. 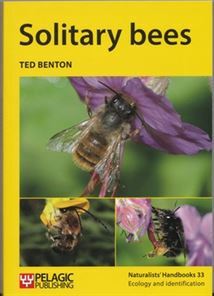 The principles of gardening to support pollinators are just the same as in Europe, but the links, references and organisations for North America are different and I give you a selection of these as a starting point.